Jail is a very fertile mission field to plant the seed of the gospel of Jesus Christ. County jail is God's boot camp where He breaks pride and dependence on self. “The sacrifices of God are a broken spirit; a broken and contrite heart, O God, you will not despise.” Psalm 51:17. That desperation and the resulting brokenness will hopefully open them up to the person of Jesus Christ who wants us to lean on Him. Many times a county jail inmate initiates a relationship with Christ on this basis. It is sometimes just “jail house” religion but many times it is a genuine desire to want real change in their lives. They call out to Jesus Christ for that change but they do not yet fully understand that Christ desires to be both their Savior and their Lord and that this Lordship is established by stepping into obedience. County jail ministry is overwhelming and can be very frustrating but it is also very rewarding and exciting to see transformation in the lives of these men and women. It begins with Genesis 1:1 and unfolds the BIG Story of God's plan of redemption, from Genesis through Revelation. In doing so, it provides the overall context in which the gospel of Jesus Christ makes sense, even to the people from other faith backgrounds. It is time-flexible. You can use it in one-on-one studies, in group studies, or individuals can use it for self-study. Global English Edition, written at a 7th through 9th grade reading level. 40 pages edition with staple binding for jail and prison ministries. If you are a jail or prison ministry chaplain, ask us about possible funding assistance. 102 professionally-designed pages of answers to the Bible study questions contained in The Story of Hope and suggestions as to how to deal with some of the common questions you may face, as well as many other tips for making your study successful. We work with a very small number at a time, all women. We have had quite a few who have had very little contact with the Bible. We give them Bibles. We have had young women who say they have no hope. We define the word hope as used here. The Story of Hope gives us a way to try to show them how the whole Bible points to Jesus. They are hungry for pictures and color so they are attentive. We read and discuss it together. We are allowed to send these back to their cells with them. Since it is county jail, we have women who are in jail for only a few days up to a few months. It is difficult to know what lessons to do—we try to find things that are clear and stand alone, but if someone is there for a bit longer, we will also continue building on what we have been using. They ask difficult questions. We usually send some “homework” Bible reading back with them so they can follow up on their own and some of them do. Please pray for us as we try to share with these troubled women the only place they can find hope. Many of them have young families and will be going back to the same setting as before. 32 Pages, plus the Bible memory cards. Ask for 32 page (prison ministry) edition of The Way to Joy. If you are a jail or prison ministry chaplain, ask us about possible funding assistance. 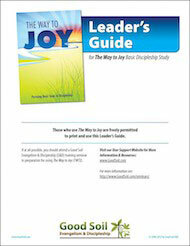 ​The Way to Joy - Global English version is a leader-guided foundational Bible study book, intended primarily for use as an evangelistic follow-up discipleship study. Its primary intended use is for one-to-one discipleship sessions. 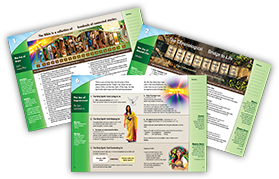 This set of 105 printed-laminated teaching visuals (13.5" x 10.75") works well in teaching the Bible to inmates, especially for those who are low-literate. Includes high-quality Bible-event visuals for 50 Old Testament and 50 New Testament events from the Bible's BIG redemptive story. 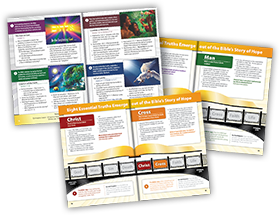 Also, includes five Bible event-visuals that are particularly helpful in teaching the gospel to Muslims. Begins with an "In the beginning God…" (Genesis 1:1) image and continues chronologically through the last two chapters of Revelation. 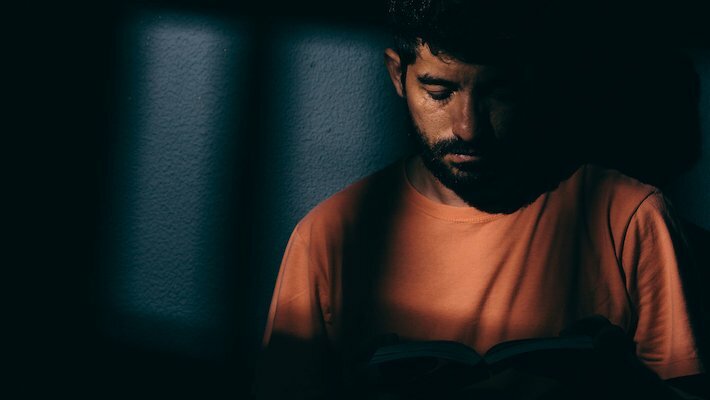 Great resource for teaching inmates what the Bible is all about and how it unfolds, as a story. Key teaching content is printed on the back side of each visual. Or, you can tape your own teaching notes to the backs of the visuals. In our ministry with prison inmates, we're doing some imagination stuff (“put yourself in the image”) with the printed teaching visuals in a small group. And, then we go to the Bible texts. It’s been very encouraging! I'm amazed as to how much the inmates can pick up from the images. A simple but flexible gospel presentation for use in jail and prison ministries. 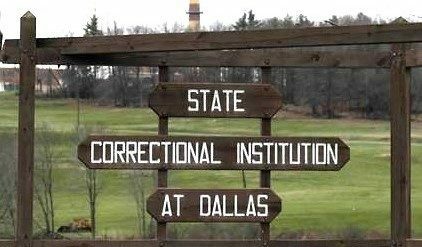 The Pennsylvania State Correctional Institution at Dallas, PA (SCI Dallas) is a medium-security prison for adult male felons. SCI Dallas houses more than 2,100 inmates, some 400 of whom are serving life without any possibility of parole. Ricardo Jackson, a chaplain at SCI Dallas, attended The Roots of Faith courses at ABWE, in order to be equipped to teach the courses to prison inmates. The class sessions were held on Monday evenings. The class was promoted as an “Exploring the Bible” course. Chaplain Jackson asked some of the men to submit a note or letter, expressing what The Roots of Faith - Old Testament course had meant to them. Gaining Ground with Good Soil is an evangelism and discipleship narrative—a scaled-down version of the Good Soil Evangelism and Discipleship seminar in a narrative format. The principles gained from this book are applicable for anyone wishing to serve God through Biblical evangelism and discipleship, but is especially instructive and helpful for ministry leaders, including jail and prison chaplains. If you are a jail or prison chaplain, with a USA shipping address, and will commit to reading this book, we will send you a FREE (and postage-free) copy of Gaining Ground with Good Soil. We have been using the Story of Hope condensed booklet for the past couple of years in a jail ministry to female inmates. It is a simple but effective way to share God's Word and plan within a limited amount of time. The pictures are so eye-catching, and the text is clear and thought-provoking. Thank you for this fine resource! Steve and Melanie Hammond run C.H.O.I.C.E.S. (Caring Hearts Offering Compassion Information Encouragement & Support) in Yorkshire, NY, that encompasses a pregnancy resource center, biblical counseling ministry, and after school program. Another part of their ministry is a weekly chapel time with men and women at the Wyoming County Jail. In January, they began to go through a study of The Story of Hope with the inmates. The Pennsylvania State Correctional Institution at Dallas, PA (SCI Dallas) is a medium-security prison for adult male felons. SCI Dallas houses more than 2,100 inmates, some 400 of whom are serving life without any possibility of parole. Ricardo Jackson, a chaplain at SCI Dallas, attended The Roots of Faith courses at ABWE, in order to be equipped to teach the courses to prison inmates. The class sessions were held on Monday evenings, with one of the inmates (Russell) assisting with some of the teaching. The focus of this page has been on using Good Soil in your jail ministry. But, Good Soil provides training and resources for many different kinds of ministry.